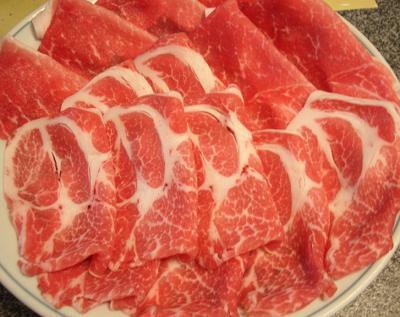 Delicious meat comes from our proprietary Yeast-K-Japan. Having devoted ourselves to this goal, we eventually discovered “Kakegawa Yeast” (registered as Saccharomyces Cerevisiae Kakegawa). Yeast is the fermentation agent essential to all fermented foods. By using yeast-fermented feed, healthy and lively livestock can be reared. Kakegawa Yeast is a precise strain that provides all the benefits of yeast. 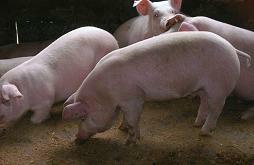 The fat of this pig is a very healthy, and with high content of unsaturated fatty acid (same ingredient as olive oil). 40 years for development of Kakegawa yeast fungus. The fermented material is then sterilized and amino-acids are formed. It is then finally turned into high-quality Kakegawa Yeast-Fermented Feed. So it is savory, digestible, nutritious, and benefits blood circulation. This allows pigs to grow up healthily without any burdens, thereby producing excellent meat that has both muscle texture and fat. The entire production of Kakegawa Yeast-Fed Pork, from making the proprietary yeast-fermented feed to rearing the pigs, is fully controlled and operated by our company using a secure integrated manufacturing system. 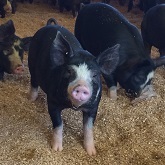 The pig breeds chosen for fattening with Kakegawa Yeast-Fermented Feed are known for having relatively low levels of animal fat and yet still possess relatively high “plant fat” content. The meat from these pigs is also famous for having high concentrations of unsaturated fatty acids, thus producing healthy and mellow pork fat. What differs the taste of “Kakegawa”? We take more than 2 weeks of fattening process with Kakegawa Yeast-Fermented feed after ordinal rearing process. Our pork gains more umami by those process that differ taste from existing pork. Meat delivered from slaughterhouse is washed with “reverse osmosis membrane water purifier” before processing. Processing factory equipped beside the store aiming at Japanese sanitation criteria. Equipment such as knifes are kept in sterilizing machine at all times. 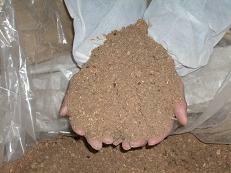 Our patented feed manufacturing technology (Patent No. JP3950767), based on our in-house strain Saccharomyces Cerevisiae Kakegawa (registered), has been extensively praised around the world and has inspired the successful development of revolutionary feed products totally free from pharmaceuticals. Fed by such feed products, animals can produce meat that is safe and secure without sacrificing taste or health. This is now recognized as the best-in-class meat in Japan. With the aim of making a contribution to the world, we shall keep working to set up standards for a “model culture of safe food”. Production and sale in Taiwan were started! Sales started in China and Cambodia. Vietnam from Autumn 2018. Returns to a Japanese page. Copyright（C）YEAST-K-JAPAN Co.,Ltd. All Rights Reserved.